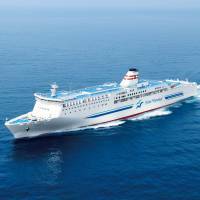 Long distance voyager: The Suisen ferry makes its way to Hokkaido. | COURTESY SHIN NIHONKAI FERRY CO. ABOARD THE SUISEN FERRY - Until recently, I considered Japan’s long-distance ferries to be the bargain buses of the sea and I only took them as a last resort. Memories of past journeys were marked by sleepless nights in crowded tatami-mat rooms, endless cups of instant ramen, and generally grotty conditions. So, when my friend Jun Kitayama told me about the new Japan Ferry Pass 21 and suggested that we make a journey from Kansai to Hokkaido to test it, I was less than enthusiastic. But after some insistence on his part that Japan’s new long-distance ferries are much improved over their past incarnations, I agreed to go. Introduced last year by the Japan Long Course Ferry Service Association (JLCFSA), the Japan Ferry Pass 21 (or JFP 21) allows you to take up to six trips on the association’s 14 ferry routes during a 21-day period. 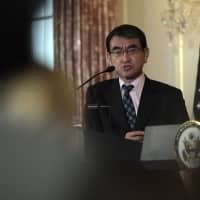 Given that the pass costs ¥21,000, it is a very competitive alternative to a 21-day Japan Rail Pass, which costs ¥59,350. There are two catches: First, the ferry pass is only available to tourists (i.e. foreign residents and citizens cannot buy the pass). Second, the pass cannot be used during Golden Week, o-Bon or shōgatsu (the New Year’s period). There is no special pass for children, but children below the age of 6 ride for free. 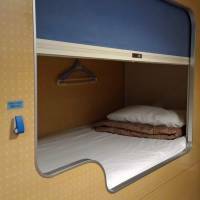 The pass gives access to second-class sleeping berths. These are in shared rooms, but they’re comfortable and offer a good deal of privacy. As much as possible, guests are placed far apart to increase the sense of privacy. For a surcharge, you can upgrade to a fully private room, which is a great option for families or anyone who wants more space. The surcharge is equal to the ticket price difference between a second-class berth and a private room. This past April, Jun and I boarded a bullet train from Kyoto to Nagoya to catch the Taiheiyo Ferry company’s Kiso ferry from the port of Nagoya to Tomakomai port in Hokkaido, with a stop midway in Sendai. The ferry company runs a shuttle bus from Nagoya Station to the port, so the trip from Kyoto was painless. As we arrived, the 199.9-meter Kiso lay gleaming in the late afternoon sun, looking much more shipshape than some of the listing rust-buckets I had ridden in the past. Upon boarding, I was surprised to see that the ship looked more akin to a cruise liner than a ferry: The common areas were spacious, clean and attractive. 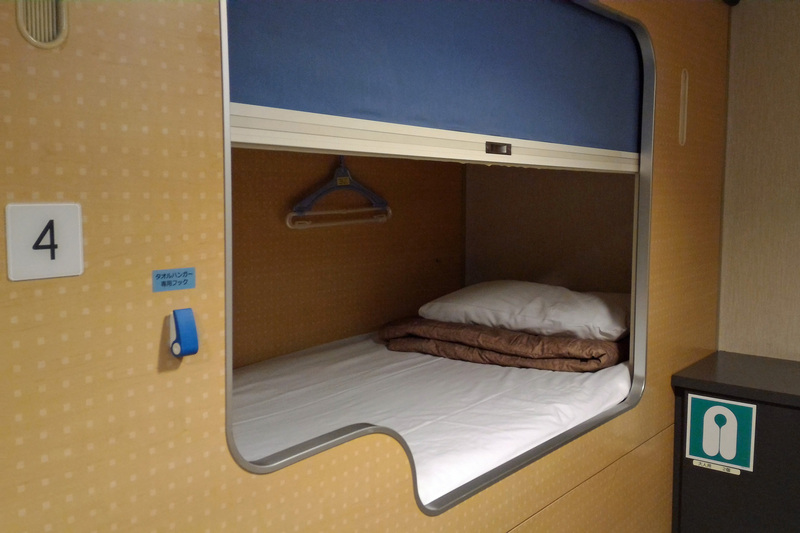 I had chosen to upgrade from a second-class berth to a private room that proved extremely comfortable, like a good Japanese business hotel, complete with an en suite bath and shower, and a large porthole offering ocean views. I checked out Jun’s berth in one of the second-class rooms: It was spotlessly clean and he had the whole compartment to himself. There was ample room for luggage and a curtain to enclose his private space. It was certainly a step up from the shared tatami-mat floors that haunt my memories of previous ferry journeys. As the ship left port, we enjoyed the evening lights of the coast before heading to the main restaurant. It was buffet-style, with a variety of Japanese, Western and Chinese food, what you might expect from a decent hotel buffet. After dinner, we headed for the daiyokujō (large public bath). 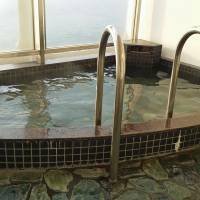 Both the bathtubs and the sauna had large portholes, allowing you to enjoy the scenery while soaking. That evening, I slept like a baby, rocked to sleep by the gentle rolling motion of the ship as we made our way past Tokyo and northward to Sendai. After a brief stop in Sendai, we continued up the coast and spent another night off the coast of Tohoku. That next morning, we awoke to our first view of the snow-capped mountains of Hokkaido. After docking in Tomakomai, we made a quick trip by taxi and train into Sapporo, where we sampled two of the local specialties: jingisukan (grilled mutton and vegetables) and Sapporo ramen. Then we hit a local onsen (hot spring) and dashed back south to catch our next ferry. For our return leg, we chose the Shin Nihonkai Ferry company’s Suisen ferry, which runs between Tomakomai-Higashi port in Hokkaido and Tsuruga port in Fukui Prefecture. 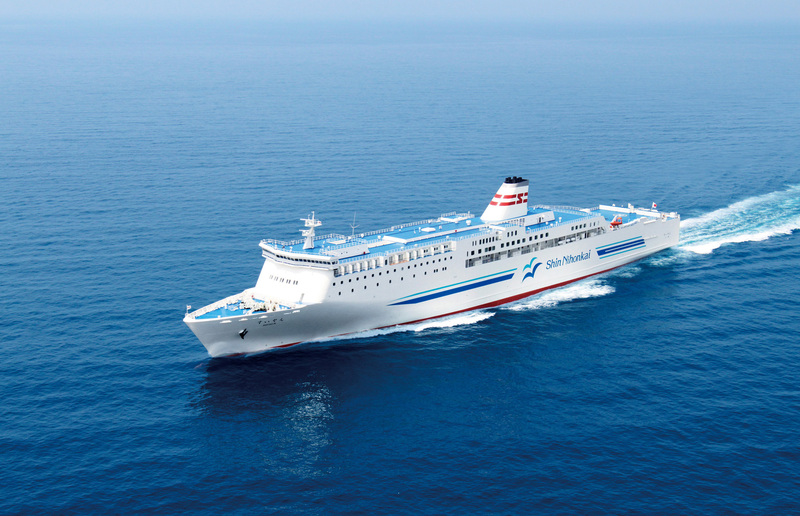 At 224 meters long, this ferry is larger than the Kiso and travels significantly faster, requiring only one overnight between Hokkaido and Tsuruga. The features of the Suisen are similar to those of the Kiso, but it’s also got a proper sit-down French restaurant and a rotenburo (outdoor bath). 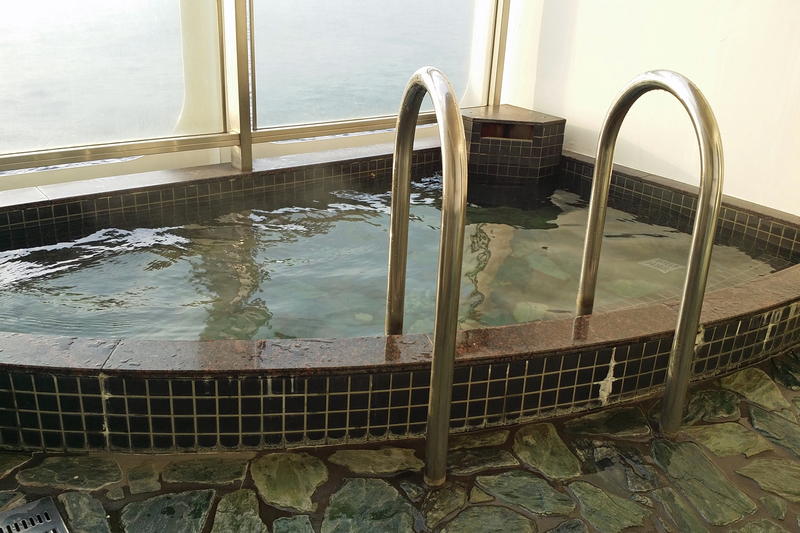 Sitting in the hot bath, feeling the cool air of the Sea of Japan on my face was the highlight of the trip, made better when I saw a pod of dolphins just north of the Noto Peninsula. After another comfortable night, we docked at Tsuruga and jumped on the JR Thunderbird Express back to Kyoto. To tell the truth, the journey seemed all too brief and I would have liked to spend one more night on the water. The JFP 21 is a great option for tourists who want to explore the main islands of Japan. As the pass covers overnight routes, you can save on accommodation, and you’ll arrive at your destination well-washed and rested. 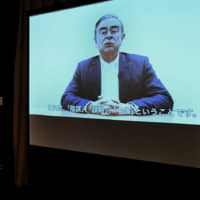 Given that the pass costs about the same as one night in a midrange Japanese hotel, it is of tremendous value and provides a competitive new alternative for long-distance travel. The Japan Ferry Pass 21 allows six ferry journeys in 21 days. The pass covers 14 routes and costs ¥21,000. It can be reserved online at jlc-ferry.jp/jfp21.